You may enjoy at this page Center of Excellence in Molecular Biology Jobs 2019 CEMB Lahore. The posts of Security Supervisor and Security Guard are vacant. 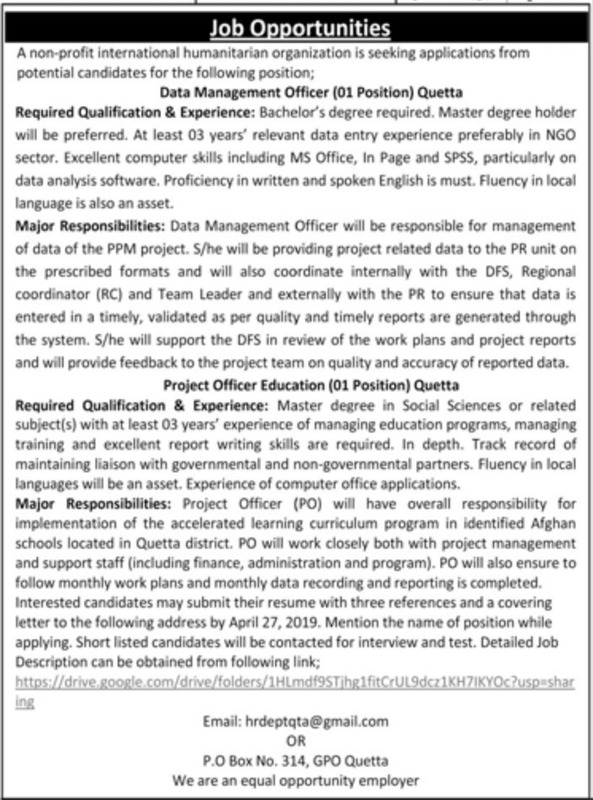 The positions are vacant for suitable individuals who meet eligibility requirements. The last date to apply is 21st February 2019. No TA/DA will be given for test/interview. 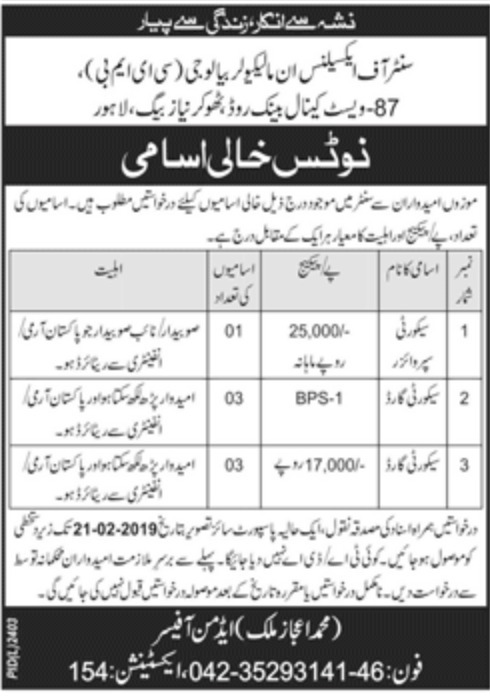 The job advertisement of Center of Excellence in Molecular Biology is published in Daily Jang dated 7th February 2019.